To remove these threats from your computer, perform the following steps. As soon as the computer starts, begin to tap the F8 key until the boot menu appears. In the Advanced Boot Options menu, use the arrow keys on the keyboard to select Safe mode with Networking. When the computer restarts, make sure that you start the computer in Safe mode with Networking again. 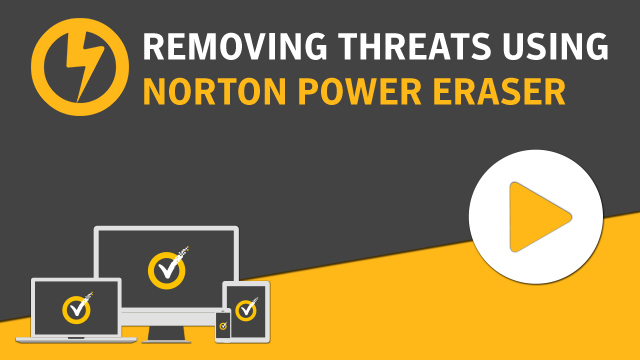 After you fix the threats that Norton Power Eraser detects, start your computer in normal mode. If your browser is locked by the threat, reset your browser settings. In the Reset Internet Explorer Settings window, check Delete personal settings option, and click Reset. On the top-right corner, click the Open menu icon, and click Options. After you follow the steps, run a full system scan in your Norton product to make sure that you do not see any threat alerts.